The New York State Senate passed the Jose Peralta New York state DREAM Act on Jan. 23, which will allow DACA (Deferred Action for Childhood Arrivals) recipients to apply for state financial aid and scholarships, including Excelsior and TAP. The act, named for the late Senator Jose Peralta who pushed for its passage, establishes a commission to take charge of scholarships and funding for students who are the children of immigrants. “As a key part of our Justice Agenda, we look forward to finally making it law for all New Yorkers this year, for Senator Peralta and the Dreamers,” Governor Andrew Cuomo said in a public statement. Twenty senators voted against the DREAM Act on the floor. District 2 Senator John J. Flanagan, who represents Stony Brook and excused himself from the vote, spoke out against the DREAM Act. A spokesperson for the university, on the other hand, said that Stony Brook is pleased with the legislature’s decision. Diana Anchia, a senior biochemistry major on the pre-med track, is hoping to take advantage of the act in medical school. “I didn’t really know what was going to happen once I graduated,” she said. “But my plans were to go to medical school.” She didn’t know how she was going to pay for it at the time, but she wasn’t going to let that hold her back. Anchia was supposed to graduate from Stony Brook in 2016, but she couldn’t commit to being a full time student because she needed to work to pay her tuition without taking out loans. Because she’s a DACA recipient, she couldn’t apply for state financial aid or scholarships to help with costs. Before the DREAM Act, New York allowed undocumented students who attended in-state high schools to pay in-state tuition at public universities. 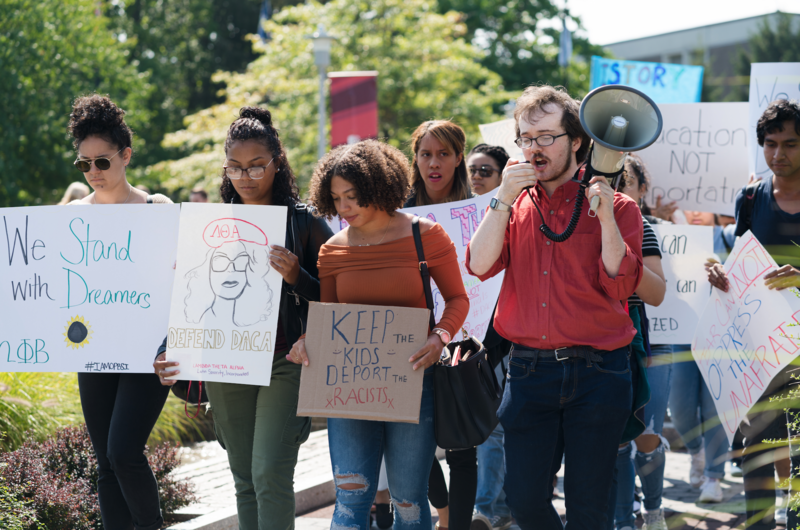 The Long Island Immigrant Student Advocates group at Stony Brook University plans on creating a program on campus to educate students on how to apply for financial aid. Its president, sophomore political science major Evelyn Lopez Rodriguez, said that it would be a huge relief for undocumented students.